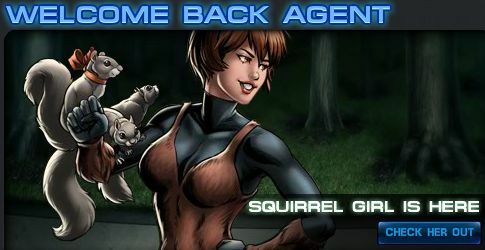 Squirrel Girl is recruitable for a limited time when you complete a set of 10 new covert tasks in Marvel Avengers Alliance. The deadline to complete the tasks is September 18, 2013. 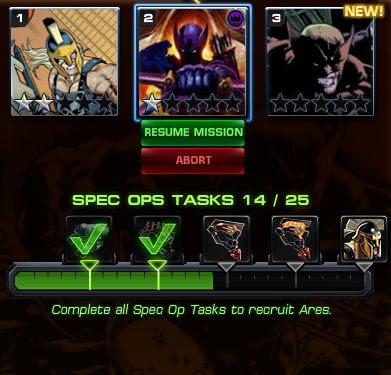 Here's the full Spec Ops 12 task list you'll need to complete to recruit Ares in Marvel Avengers Alliance. The option scoring challenges are included as well. Spec Ops 12 just started today in Marvel Avengers Alliance. The hero up for grabs this time is Ares the God of War. 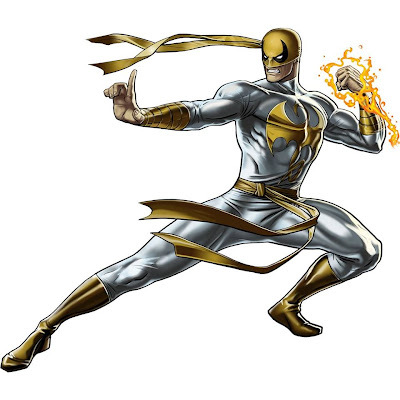 He has some pretty brutal abilities just as preventing healing and resurrection effects as well as a "Avengers Assemble"-type ability-buff called "War Never Changes." PVP Season 10 of Marvel Avengers Alliance just launched today and with it a new hero, Bishop, if you end up with a spot in Adamantium. Also up for grabs is Elektra as the latest lockbox hero. You can score up to five lockboxes a day by winning five PVP battles with additional lockboxes for PVP tasks and the PVP daily spin. 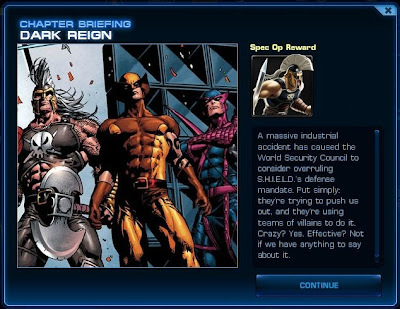 Season 2 of Marvel Avengers Alliance has finally launched with the first chapter available and 6 new missions to try. 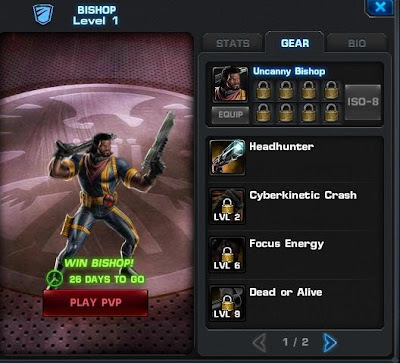 New features include Heroic Battles (iconic battles between heroes and villains such as Wolverine 1v1 against Sabretooth) and Incursions (which are like PvP battles without Armory that can reward you with rare loot). They've also re-jiggered the rewards system to be a little less repetitive but require a bit more from you in terms of heroes acquired. The reward for full mastery of the Chapter 1 is both Bruiser and Scrapper versions of Heroic Age Iron Fist.